This is such a clever, entertaining and funny book – it’s exactly the sort of story I would have loved to read as a child. Before opening the cover, one might be forgiven for thinking that it’s all about discovering the magical powers of books (which is a great storyline in itself, particularly when books can be used to travel between libraries!) but once you start reading, you realise that there’s far more to it than that. With a host of diverse characters, there are a number of inclusive and positive threads entwined in the story: friends who accept and embrace each other’s differences; the recognition that we are all special in our own way no matter how ‘average’ we think we are; the need to persevere to achieve our goals; and the reassurance that young people are not alone in suffering from insecurity. There are some clever explanations for library etiquette, too, which really made me smile: the need to stay quiet in a library in order not to wake the dragon sleeping beneath it and the requirement to shelve books correctly to ensure world order. I also loved the book cameos, with both Baba Yaga’s house with chicken legs and the martians from The War of the Worlds making an appearance to spice up the tale. Wrap all these things up and you have a joyous, imaginative and empowering story, with characters that every reader can identify with, and with the author’s love for all things literary reflecting brightly off every page. The book has been illustrated superbly by Davide Ortu – the neon cover is just fabulous – and the story is aimed at readers aged around 6/7 upwards. Due to be published in June, I think it will appeal to a wide spectrum of readers, but particularly to adventurers, budding wizards and bookworms. 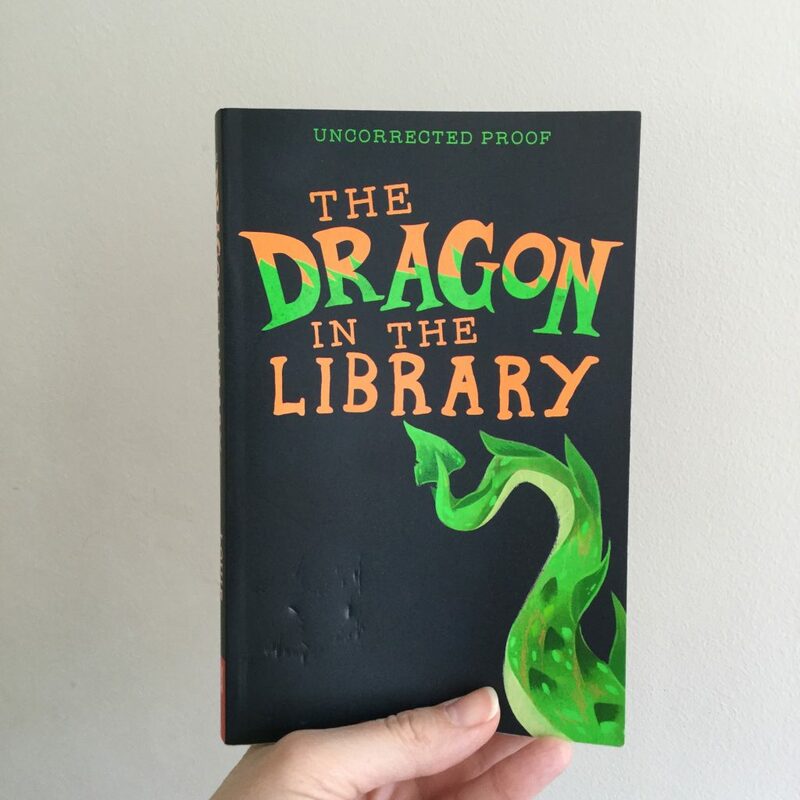 Plus, the great news is that The Dragon in the Library is the first in a series, so Kit and the gang will be back in the not too distant future. I, for one, can’t wait, but in the meantime – sssshhh! Don’t wake the dragon up!